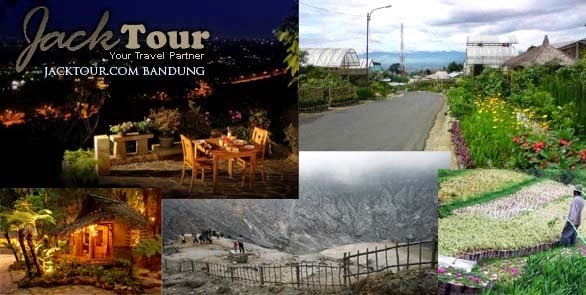 TANGKUBAN PERAHU: Visiting Bandung Volcano for your tour at Tangkuban Perahu. Its your beatifull moment, buy some merchandise, and pick your photo! Visit Kopi Luwak Farm home production the most popular heritage coffe culture from indonesia. KAMPUNG DAUN: Enjoy how nice the view that you can see. Lunch at Kampung Daun. Go to Shopping place via Cihideung Village: Along the roads of this place we can see the front yard of every houses full of flowers and colorful decorative plants, welcoming every steps of visitors. Curug Cimahi Waterfal : Visit the highest waterfall in Bandung suburb area. SHOPING IN FACTORY OUTLETS, Choose these places for your shopping places: Dago Street, Riau Street, Rumah Mode, Cihampelas Street, Cibaduyut Street, Pasar Baru, or other places. Find favourites in Factory place! BEAUTIFUL PLACE FOR DINNER Dinner at Bandung Dago highland with a nice views with Bandung Panorama. Many Restaurant and cafe for alternative in this places. BACK TO HOTEL and relax!